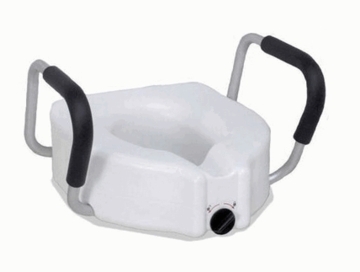 The locking toilet seat is easy to assemble and comes with a front clamping mechanism to ensure positive locking onto the toilet. This helps prevent shifting of the seat while sitting or transferring. The seat fits most toilets. Width adjustable, padded support arms provide safety, eliminating the need for toilet safety rails.